I've passed this house many times. 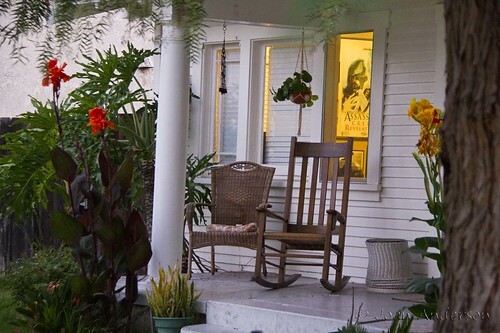 Each time I think how homey and cozy the porch and front yard look. 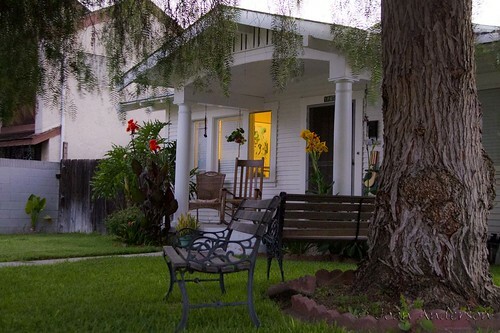 With the summer finally here, it seemed time to share this little retreat-like front yard. It's all so very peaceful and welcoming, except, perhaps that poster inside the window. Assassin's Creed? Doesn't seem to fit, somehow!